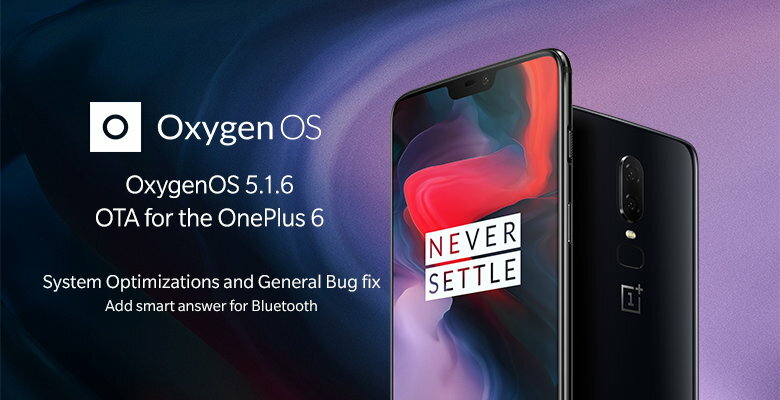 The OnePlus 6 started receiving new Oxygen OS 5.1.6 OTA which comes with all those features promised on the new flagship smartphone users at the time of the launch. The new software update improves better cellular connectivity for dual 4G VoLTE SIM cards and enables Idea VoLTE services in India. Apart from this, the update also comes with stability fixes in the network department. The promised feature of Light Bokeh mode for Portrait mode in rear camera also previewed in the camera section along with the Selfie Portrait mode for the front camera. Aside the camera tweaks, the update now allows scheduling Do Not Disturb mode and associated rules which do get enabled upon activation. The update also brings in battery percent in the status bar but we think it is better without it. There is also a smart answer option now for Bluetooth devices. The update is now live and is rolled out to most of its users across the globe. If you haven’t received the update, don’t worry alike others you will hit the incremental wave very soon.